It's 22:25 in Vilnius, Lithuania right now. Vilnius: View from IMPERIAL Hotel Restaurant, 0 miles away. Vilnius: Radisson Blu Hotel Lietuva, Vilnius, 0 miles away. Vilnius: City Center, 0 miles away. Vilnius: Hales Market, 0 miles away. Vilnius: Cathedral Square, 0 miles away. 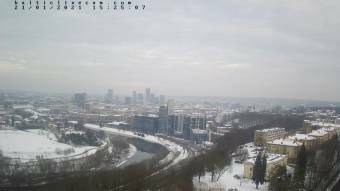 Vilnius: Šv. Jono Gatvė Street, 0 miles away. Trakai: Trakai Castle, 14.2 miles away. Kaniūkai: View onto the Neman River, 51.9 miles away.